t*rexes and tiaras: A hat with hearts.. So, I mentioned in my post on Monday that I'd done some knitting whilst I was away at the weekend. 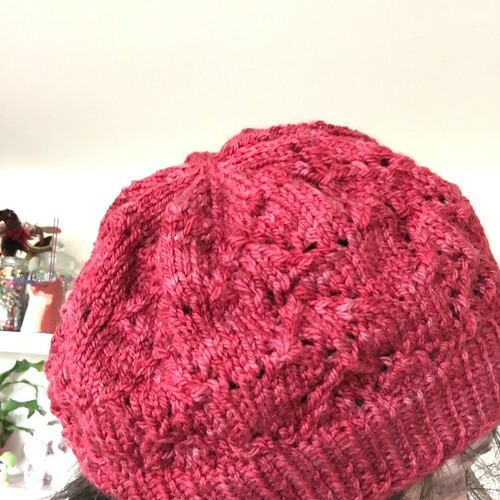 On Friday evening as we sat in our little cottage chattering, I cast on my first row of stitches, counted them about a billion times and had a go at following this hat pattern. I found it on Ravelry as I was looking for something to do with this lovely ball of wool; a present from my friend's recent trip to the Falklands. I wanted something which I could make from the ball of wool and which I could wear, and I'm quite the fan of hats. I used circular needles when I was making my Miette cardigan, so I thought I'd be OK, but on my first attempt I managed to end up with an inadvertent moebius loop, so I had to frog it all and start again. But after that, it went OK. 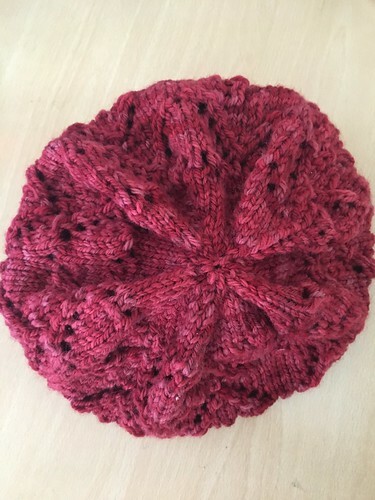 I managed, with some assistance from the much more accomplished knitters in the room, to use double point needles for the first time, to finish off the crown and I'm rather pleased with the result. The pattern was easy to follow and I maybe spent a couple of hours on it on Friday and Saturday, so it didn't really take too long, although I did have to concentrate quite hard on the pattern when I was creating the hearts. Particularly Row 3, which is a pain. Hat looks great! I love the shape of the crown. And yay for discovering that dpns aren't scary either! I still find casting on a pain on dpns but once I get a few rows under my belt I'm fine. 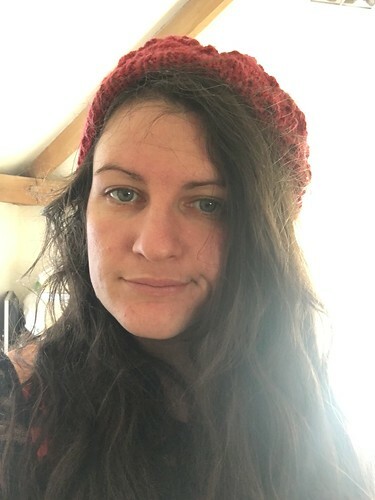 I've just finished knitting a cabled hat and was surprised by how easy it was to knit cables. Thank you - I will know what I'm doing with them in future. I'm currently tackling a cardigan which I don't think is *very* complicated but I keep losing count.